Join photographer Tony Novak-Clifford as he introduces you to the people, places and devotional rituals of the world's most gorgeous culture in Bali, Indonesia. Through his photographs and brief anthropological essays, collected over 30 years of nearly annual visits to the island, you will stray far off the well-beaten tourist route and into the homes, temples and ancient rituals & mysticism of the Agama Hindu Dharma practicing Balinese people. 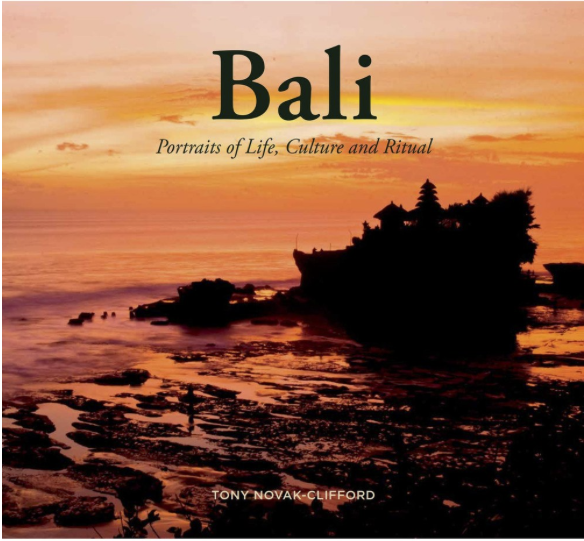 Illustrated with over 120 sumptuous color and black and white photographs, this book is a must own collection for everyone interested in Bali and the Balinese culture that lies beyond the enclaves of tourism. Size Large Format Landscape, 11.5"x11"